GlassWire 1.0.28b is now available for download. – User interface optimizations including showing “away” time in the bottom mini graph and darker easier to read text. – Security improvements including remote access passwords encrypted on the hard drive and remote access rate limiting along with a password strength indicator. – There were also quite a few bug fixes, for example if you had trouble making a remote connection this bug is now fixed. 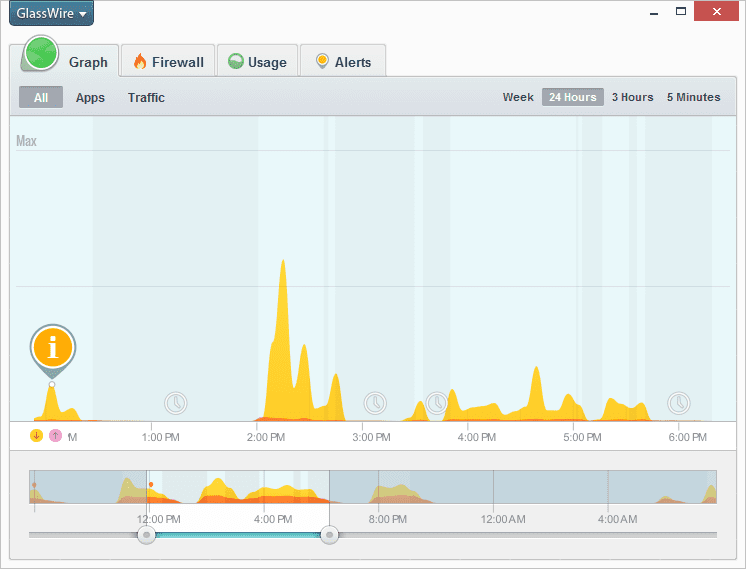 We also improved GlassWire’s resource usage and we’ll continue to do so even more as time goes on. Some crashes users reported were also fixed. Also now users without an admin password on their computer (not recommended) can change GlassWire’s settings. Please report problems via email or in the GlassWire forum.